Dubai: Former Pakistan captain and coach Waqar Younis has played a pivotal role in many of Pakistan’s victories over India through his deadly pace bowling. In an interview with Gulf News, he spoke not only about his team but also the Indian team and excitement over the India-Pakistan clash on Wednesday. He said Kohli’s absence would give a psychological advantage to Pakistan. “Pakistan will feel good about it,” he said “In the past, whenever India have played Pakistan, Kohli has been pretty good. I remember the 2015 World Cup he took the game away from us. Younis feels that Pakistan’s confidence is also high especially after winning the Champions Trophy. Waqar feels that Pakistan’s confidence is also high especially after winning the Champions Trophy. “Pakistan have been working very hard especially the One-day team, which has improved a lot,” he said, adding a number of new faces had come in over the last 18 months. “Fitness is really good. They have been to the Army camp once again just before coming here for the Asia Cup. I think that will help and they look really a very good unit at the moment. So can one witness a battle between Pakistan pacer Mohammad Amir and Indian opener and captain Rohit Sharma? “Normally in the past we have seen Amir versus Kohli but, with Kohli not there, things will be different,” Waqar said. Waqar went on to stress the importance of playing more India-Pakistan matches. “We are all very excited about and India-Pakistan contest purely because we do not play enough cricket against each other and whenever we play people get excited,” he said. “People are all hungry to see India-Pakistan play and hopefully I am keeping my fingers crossed to see India and Pakistan play thrice in this tournament. It should be a thriller as both the teams are playing extra ordinary cricket. They are both very good one day sides. 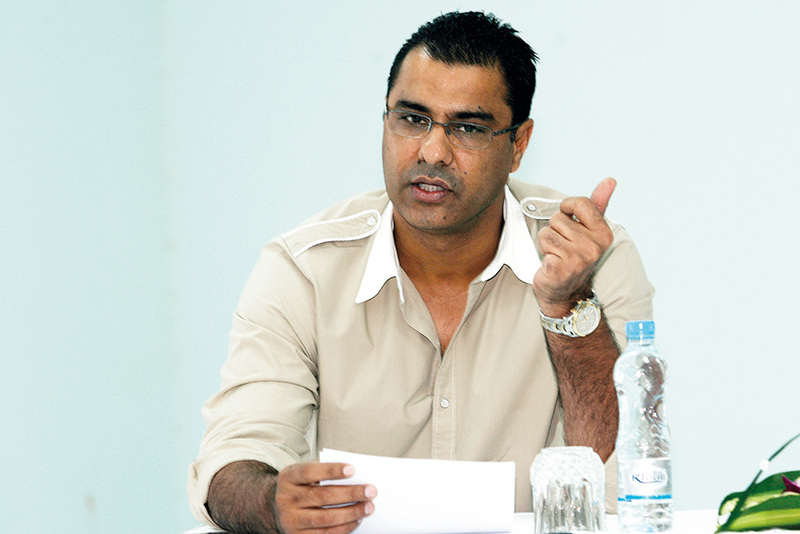 Waqar feels that by staging the Asia Cup, the profile of UAE venues will get a big boost.